Each model train is custom weathered and painted to make them look realistic, done to scale and can take anywhere from 6-10+ hours to complete. I can create a custom piece of art using your name, business, logo, etc. Any idea you have I can make it happen! Great for collectors and for gifts. I grew up watching cartoons with my grandparents and reading the comics my grandpa had lying around. 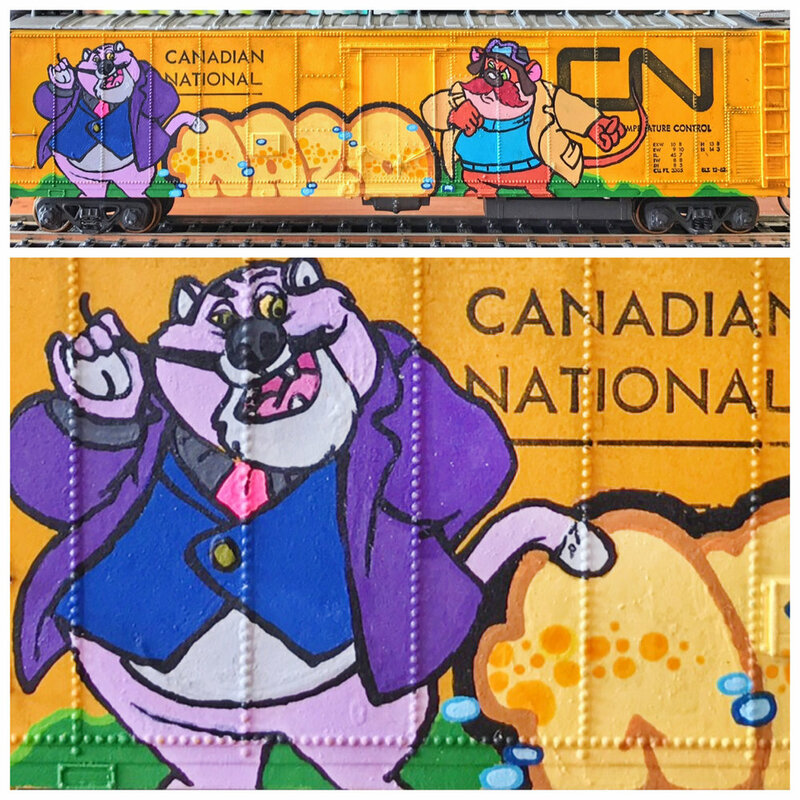 My grandpa also worked for CP so I used to talk about trains with him, many years before I found out about graffiti. He helped raise me like a son and I miss him a lot and I find when I paint these model trains with the characters I grew up with I get really nostalgic and think a lot about him. I wish he was around to see these trains, I bet he’d get a kick out of them. 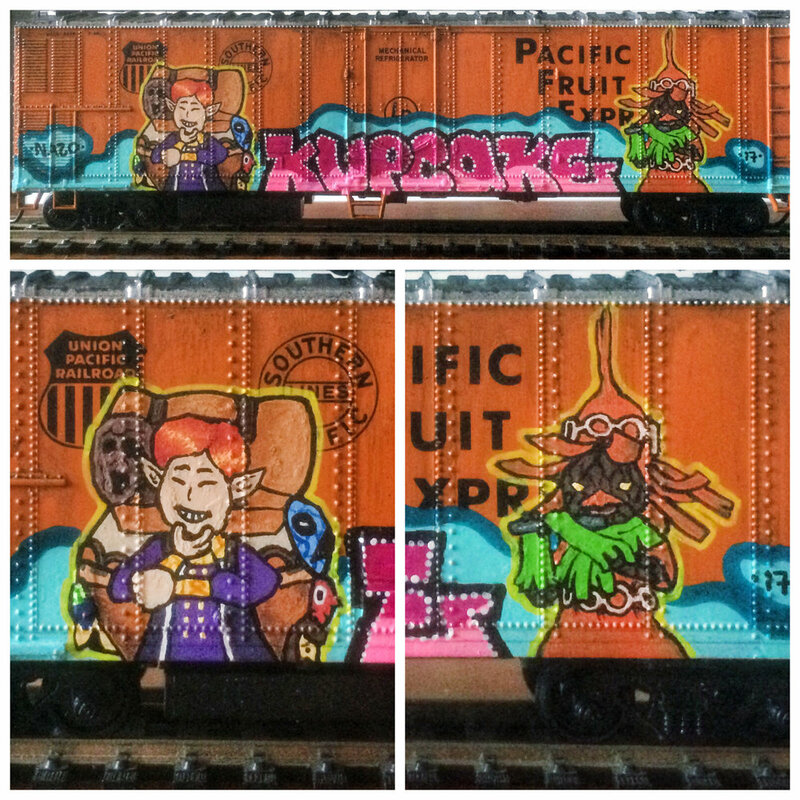 If you’re interested in getting a custom train for yourself please feel free to contact me. Trains that are available will be noted under each piece.